The middle row seatbelts optional on the Explorer inflate when a collision is detected, helping to spread crash forces over a much larger area of the body and limiting head and neck movement. This can help prevent spinal and internal injuries. The Q7 doesn’t offer inflatable seatbelts. Both the Explorer and the Q7 have standard driver and passenger frontal airbags, front side-impact airbags, side-impact head airbags, front seatbelt pretensioners, height adjustable front shoulder belts, four-wheel antilock brakes, traction control, electronic stability systems to prevent skidding, daytime running lights, rearview cameras, available all-wheel drive, collision warning systems, lane departure warning systems, blind spot warning systems, front and rear parking sensors and rear cross-path warning. 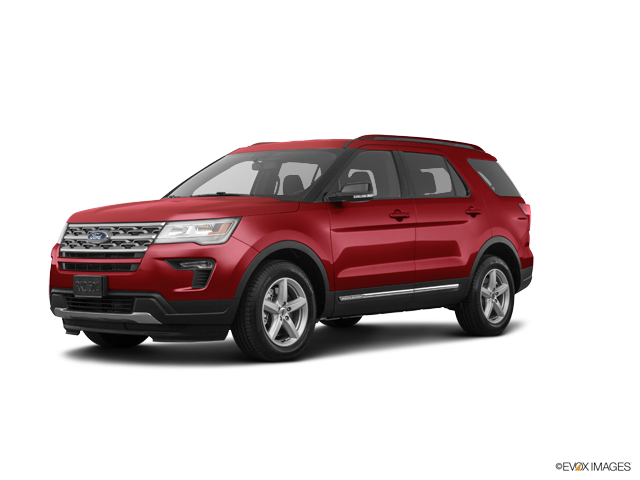 Ford’s powertrain warranty covers the Explorer 1 year and 10,000 miles longer than Audi covers the Q7. Any repair needed on the engine, transmission, axles, joints or driveshafts is fully covered for 5 years or 60,000 miles. Coverage on the Q7 ends after only 4 years or 50,000 miles. There are almost 11 times as many Ford dealers as there are Audi dealers, which makes it much easier should you ever need service under the Explorer’s warranty. The Explorer has a standard “limp home system” to keep drivers from being stranded if most or all of the engine’s coolant is lost. The engine will run on only half of its cylinders at a time, reduce its power and light a warning lamp on the dashboard so the driver can get to a service station for repairs. The Q7 doesn’t offer a lost coolant limp home mode, so a coolant leak could strand you or seriously damage the truck’s engine. J.D. Power and Associates’ 2016 Initial Quality Study of new car owners surveyed provide the statistics that show that Ford vehicles are better in initial quality than Audi vehicles. J.D. Power ranks Ford 11th in initial quality, above the industry average. With 8 more problems per 100 vehicles, Audi is ranked 14th, below the industry average. Q7 2.0T 2.0 turbo 4 cyl. To lower fuel costs and make buying fuel easier, the Ford Explorer uses regular unleaded gasoline (premium recommended on Explorer Sport/Platinum for maximum performance). The Q7 requires premium, which can cost 20 to 55 cents more per gallon. The Explorer has a standard cap-less fueling system. The fuel filler is automatically opened when the fuel nozzle is inserted and automatically closed when it’s removed. This eliminates the need to unscrew and replace the cap and it reduces fuel evaporation, which causes pollution. The Q7 doesn’t offer a cap-less fueling system. The Explorer has a standard space-saver spare tire so you can replace a flat tire and drive to have the flat repaired or replaced. A spare tire isn’t available on the Q7; it requires you to depend on its run-flat tires, which limits mileage and speed before they are repaired. If a run-flat is damaged beyond repair by a road hazard your vehicle will have to be towed. Some models of the Q7 don’t even offer run-flats. For better maneuverability, the Explorer Base/XLT/Limited’s turning circle is 1.8 feet tighter than the Q7’s (38.9 feet vs. 40.7 feet). The Explorer Sport’s turning circle is .7 feet tighter than the Q7’s (40 feet vs. 40.7 feet). The Ford Explorer may be more efficient, handle and accelerate better because it weighs about 200 to 500 pounds less than the Audi Q7. The front grille of the Explorer uses electronically controlled shutters to close off airflow and reduce drag when less engine cooling is needed. This helps improve highway fuel economy. The Q7 doesn’t offer active grille shutters. As tested by Car and Driver while at idle, the interior of the Explorer Sport 4WD is quieter than the Q7 Prestige (37 vs. 43 dB). The Explorer has 3 inches more front headroom, 1.2 inches more front legroom, 2 inches more front shoulder room, 1.8 inches more rear headroom, .7 inches more rear legroom, 2.5 inches more rear shoulder room, 1.9 inches more third row headroom, 4.1 inches more third row legroom and 1.4 inches more third row shoulder room than the Q7. The Explorer’s cargo area provides more volume than the Q7. A low lift-over cargo hatch design makes loading and unloading the Explorer easier. The Explorer’s cargo hatch lift-over height is 31.1 inches, while the Q7’s liftover is 32.5 inches. The Explorer has a standard third row seat which folds flat into the floor. This completely clears a very large cargo area quickly. The Q7 doesn’t offer seats that fold into the floor. Pressing a switch automatically lowers or raises the Explorer Sport/Platinum’s optional second and third row seats, to make changing between cargo and passengers easier. The Q7 doesn’t offer automatic folding second row seats. The Explorer offers a remote vehicle starting system, so the vehicle can be started from inside the driver's house. This allows the driver to comfortably warm up the engine before going out to the vehicle. The climate system will also automatically heat or cool the interior. The Q7 doesn’t offer a remote starting system. In case you lock your keys in your vehicle, or don’t have them with you, you can let yourself in using the Explorer XLT/Limited/Sport/Platinum’s exterior keypad. The Q7 doesn’t offer an exterior keypad entry system, and its extra cost Audi Connect can’t unlock the doors if the vehicle doesn’t have cell phone reception or the driver can’t contact the service. To improve rear visibility by keeping the rear window clear, the Explorer has a standard rear variable intermittent wiper with a full on position. The rear wiper standard on the Q7 only has an intermittent setting, so in a hard rain visibility isn’t as good. The Explorer (except Base/XLT) offers an optional 115-volt a/c outlet on the center console, allowing you to recharge a laptop or run small household appliances without special adapters that can break or get misplaced. The Q7 doesn’t offer a house-current electrical outlet. The Explorer (except Base/XLT/Sport)’s optional Enhanced Active Park Assist can parallel park or back into a parking spot by itself, with the driver only controlling speed with the brake pedal. The Q7 doesn’t offer an automated parking system. According to The Car Book by Jack Gillis, the Explorer is less expensive to operate than the Q7 because it costs $171 less to do the manufacturer’s suggested maintenance for 50,000 miles. Typical repairs cost much less on the Explorer than the Q7, including $164 less for an alternator, $113 less for front brake pads, $355 less for a starter, $286 less for fuel injection, $143 less for a fuel pump, $1440 less for front struts, $903 less for a timing belt/chain and $1002 less for a power steering pump. The Ford Explorer outsold the Audi Q7 by over 9 to one during the 2016 model year.